Wholesale brand hopes to create pearl knowledge source for trade. 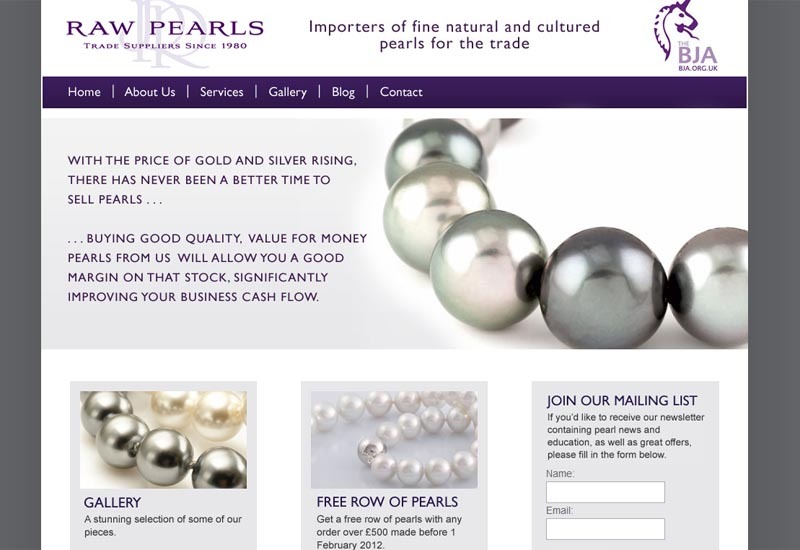 Wholesale jewellery business Raw Pearls has launched a new website that it claims will offer a better overview of its business for new customers as well as providing more adequate support for existing clients. The new site, which is hosted at rawpearls.com, has a blog featuring news from the pearl industry, educational articles and offers for customers. Raw Pearls managing director Jonathan Raw said: “This is about building a relationship with new customers as well as providing our loyal customers with the service they have come to expect. Raw Pearls was founded in 1979 and is still a family-run business. The company specialises in the distribution of freshwater, akoya, South Sea and Tahitian pearls.